1 post categorized "James St. James"
It turns out one of my favorite writers is coming out with a new book in the Spring! 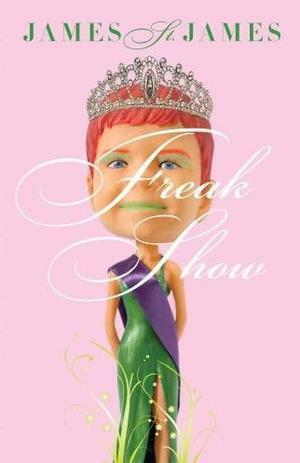 The Club Kid turned Author is releasing his second novel on May 17th titled Freak Show. James' last book was the evocative and controversial book Disco Bloodbath. Disco Bloodbath documented, in vivid and sometimes grotesque detail, the late 80s/early 90s club world which spawned such a club stars as James St. James, Amanda Lapore, DJ Keoki and who would become the most poignant figure in the book, Michael Alig. Michael Alig was a superstar on the club scene. Michael turned the club scene in New York in to a globally envied party spot. Michael's fall was as epic as his rise to fame - and just as quick. His drug use and abuse led to the killing of his drug dealer, Angel Menedez. The killing took place 6 floors down in the builing I live in now. Crazy, right?! Michael, who was later convicted of the crime, is still serving time in upstate New York. Although the topic of death, drug abuse and jail time seems like a downer of a subject - it's James' razor tongued writing that will keep you laughing out loud. That is why I'm so excited about his follow up novel. The plot goes a little something like this: Billy Bloom is gay, but it’s mostly theoretical, as he hasn’t had much experience. When he has to move to Florida, he can’t believe his bad luck. His new school is a mix of Bible Belles, Aberzombies, and Football Heroes, none of which are exactly his type. Billy’s efforts to fit in and stand out at the same time are both hilarious and heartrending. In this novel from adult author and media personality James St. James, readers are in for a wild ride as he tells Billy’s fascinating story of bravado, pain, and unexpected love, inspired by his own experiences. The stark realness that James' painted so well in 'Bloodbath' is sure to shine again in Freak Show. It's the honesty that a character reveals and their willingness to be seen naked (not in that way!) and vulnerable that make his stories SO good. I'm sure I will write more about this once the book is published but I was so excited about seeing an actual release date that I had to share. If you are already a fan, you can order a copy of the book here. In the mean time, if you want to get a taste of James' writing - Check out the World Of Wonder site. 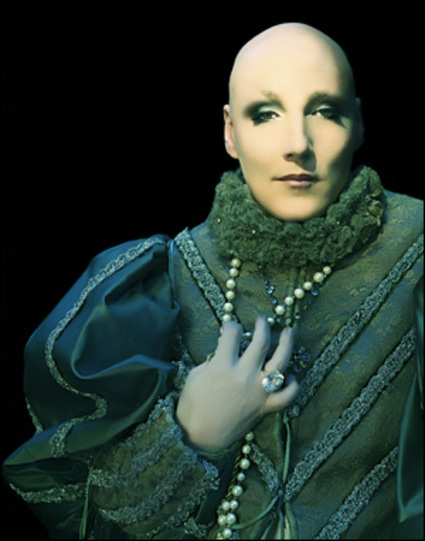 James is a regular writer there and his THE JAMES ST. JAMES VERSION is hysterically funny, campy and worth every second. xoxo.